Vocal chamber music from a 17th-century cloistered nun in Milan who wrote for the virtuosic singers of her convent. Beautiful sacred cantatas with the women of Magnificat Baroque. Also available on Amazon.com and CDBaby.com. Live recording. 12 songs on American poetry written for Liz. Also, Buxtehude’s Jubilate Domino, pop songs, and improvisation. Available exclusively through the artist. 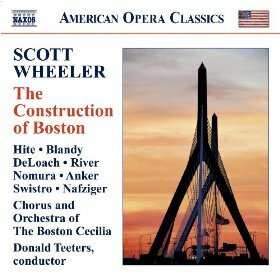 Liz sings the roles of “Back Bay” and “Dawn” in this smartly whimsical one-act opera/oratorio by Scott Wheeler about the mythical birth of the city of Boston. Based on a text that Kenneth Koch wrote in the 1960s as a performance piece for his artist friends. This recording with the Shakers was a chart-topping success.